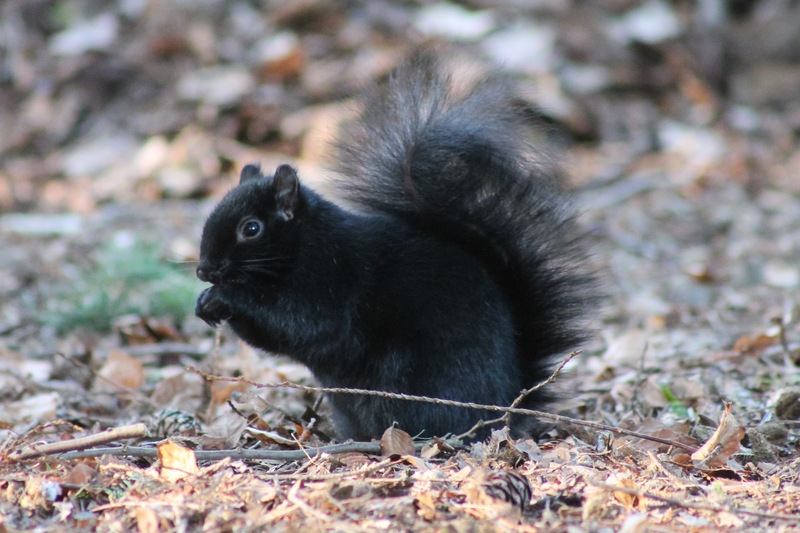 Here above is a squirrel in black, for which I have not seen in this pigment until my recent visit to Vancouver. I watched them, and perhaps they watched me. Thier behavior differed a bit from the normal gray city squirrels of the Pacific Northwest US, of which I have seen mostly around the University of Washington campus. 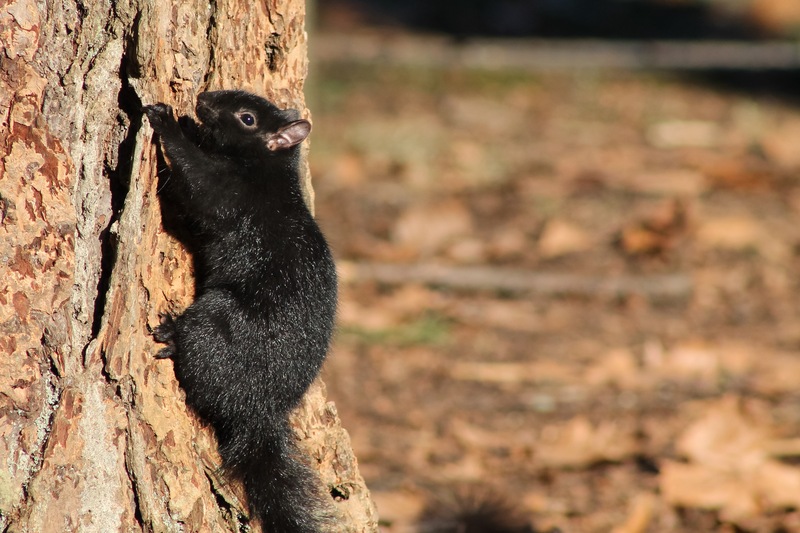 The black squirrels seem more shy to the cameras, and seemingly a bit faster and slightly smaller. I learned through local folk and the googling, much about these squirrel mutagenic variants. Such are uncommon to see unless in some collective habitat (Midwestern and some Mideastern US, Eastern Canada), parts of the UK). However, I came across a gathering of many scuttling about through the center of Stanley Park, in Vancouver, Canada. Such are offshoots of the common gray and fox squirrels, leading to the darker gray to the very black. They can endure the cold weather better, and blend in with the dark. I heard these are not originally native to the Vancouver area but brought over some decades ago (possibly in 1914 according to one Wikipedia source), but I have yet to find the exact info. and a short bonus video of more, recently put upon my Instagram (travelingorion, follow me there!). Posted on January 19, 2017 by Orion T.	This entry was posted in Uncategorized and tagged black, canada, nature, Photography, squirrels, Vancouver. Bookmark the permalink. ← The Icy Cold Elsewhere..